Enjoy this simple Irish classic in the comfort of your own home. 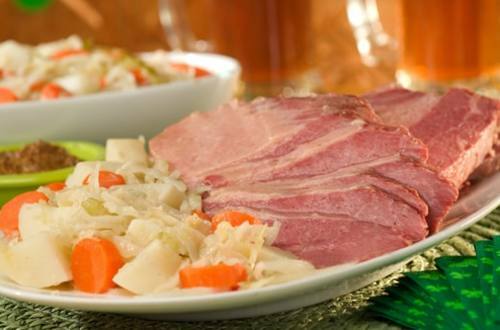 1 Combine corned beef, water, Knorr® Leek recipe mix, cloves and bay leaves in a 6-quart Dutch oven. Simmer covered until corned beef is almost tender, about 2-1/2 hours. 2 Stir in vegetables and cook until vegetables are tender, about 20 minutes. 3 Remove bay leaves before serving.